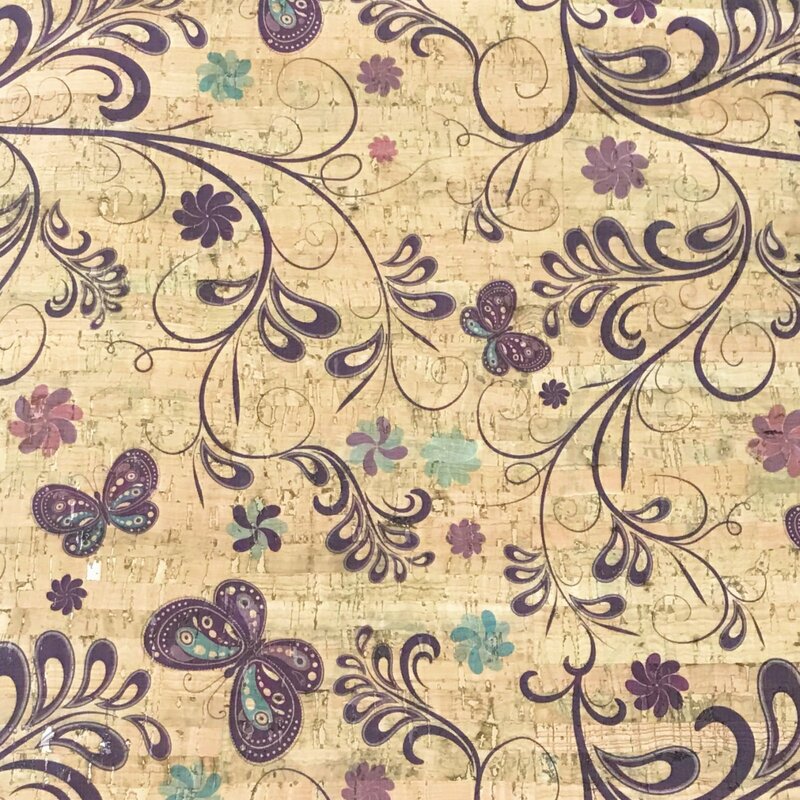 Natural Portugal vegan cork fabric in butterfly design. Naturally durable, versatile and eco-friendly. Offered in different cut sizes.